I have seen a lot of musical acts in my day. My first concert was Ozzy with guitarist Randy Rhoads just two months before his fatal plane crash. I’ve seen Eddie Van Halen, Michael Schenker, Jimmy Page legendary rock/metal axe-men. I’ve seen classical greats John Williams and the Romeros. I’ve been to the Chicago and Los Angeles Symphonies. I’ve seen local and less-known musicians come through town and absolutely blow everyone away. I’ve seen some of the biggest acts in the world; Led Zeppelin, Pink Floyd, Black Sabbath, Aerosmith…, as well as, some of the most incredible street musicians in America’s big cities…the people you miss your train simply to hear a few more songs. I’ve been to shows in rock, metal, Jazz, classical, world music, pop,…on and on! But, I never saw/heard anything like I did Tuesday night at San Diego’s House of Blues. 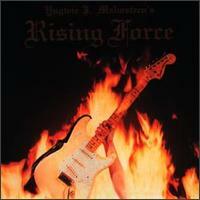 Yngwie J. Malmsteen put on a clinic! Since his debut album, “Rising Force,” in 1984, I have been a fan. His blistering fast runs and arpeggios combining Heavy Metal with musical phrasing of the Baroque and Romantic periods are absolutely stunning. ‘The man obviously took his guitar lessons seriously,’ as one of my friends put it! The knocks against Yngwie for the past thirty years are as earned as his virtuosity. He is known for being a bit of a Diva and arrogant. ‘Bit’ might be an understatement. His music, although it has stood the test of time for thirty years, is thought to be lacking in general appeal to those outside of the music/guitar aficionado. There are not a lot of hits, hooks and catchy tunes in Yngwie’s output. His sound and style have not changed much over the years. The Diva tag comes from a somewhat pompous persona. The J. in his name, as if he is going to be confused with another Yngwie Malmsteen. The use of words in his titles like opus. Oh yeah and he is 50 years old and still years leather pants, no shirt and gaudy jewelry…so the argument is made. Yngwie hasn’t changed much over the years…which can be viewed as both a lacking and admirable trait. Vivaldi the Italian composer wrote over 500 concertos. Since they were all similar in style it is often jokingly asked , ‘Did Vivaldi compose 500 concertos or one concerto 500 times?’ This question might be applied to Yngwie’s output over his career, as well….but no denying the man’s sheer capability to play the guitar like no other. Heading to last Tuesdays concert I was stoked to see Yngwie, but, more as seeing a relic. He could be crossed off my list of musicians I want to see but haven’t. I thought it would be a little boring. Watching Yngwie shred all over the place while his band sheepishly backs him up. I could not have been more wrong! Yngwie was incredible. His showmanship was incredible, his skills were incredible and his band was incredible! The ability to play a concert is hard enough for anyone…but to put on a show of that caliber and not lose your musical chops is awe-inspiring. We’ve all seen musicians use gimmicks live. Playing with their teeth, spinning and throwing their instruments, creatively creating feedback while putting on a ‘rock show.’ Yngwie does all of these, but, it doesn’t seem gimmicky. He legitimately has put time into incorporating all these theatrics into his ‘musical’ performance. His speed and precision have not declined at all in the years since his 1984 debut. Equally astounding is his use of effects. All guitarists use them, like the whammy bar, they often become a crutch to make any level musician sound rocking cool. Yngwie obviously has invested time working out his electronics as part of his guitar acumen. Most impressive during the show, was his ability, while playing a blistering arpeggio riff to accompany himself with bass pedals using his feet. Not just one note to give a boost underneath but a full contrapuntal bass line with his feet while seamlessly arpeggiating over the top. The band, in typical Yngwie fashion, are not easy to find out much info about. However, these guys played great. Of course to play with Yngwie…who the band referred to as ‘the Maestro,’ throughout the night, you’ve got to have chops. You have to play fast, but, they put on a rock show, as well. They laid down a rock groove that Yngwie could soar over with his guitar acrobatics while keeping the crowd rocking, not letting it feel like a man and…. oh yeah a band(even though Yngwie does take about 3/4 of the stage for himself)…kudos to those guys!! 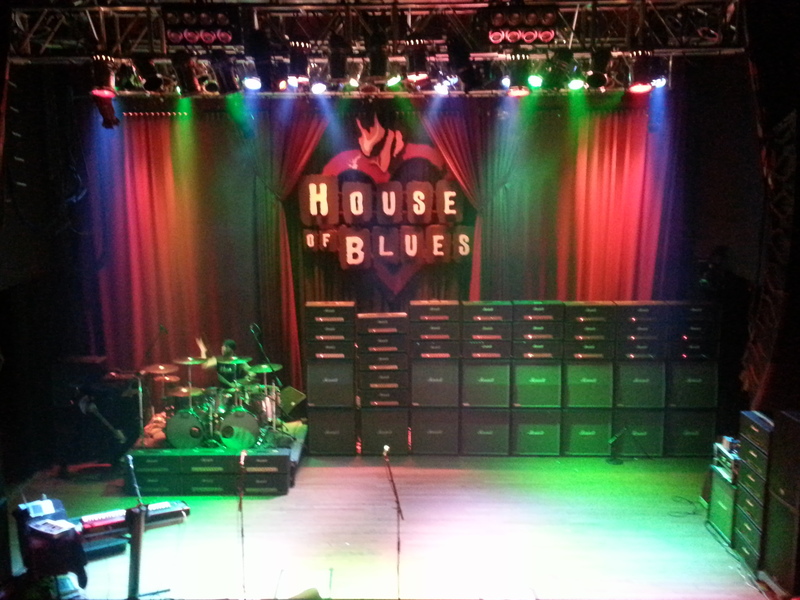 Bottom line…if you haven’t seen Yngwie yet but have thought about it….GO!